Are you looking for volunteer opportunities? Consider joining our team of committed volunteers. 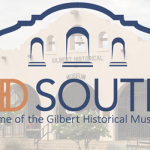 As a volunteer, you will be the backbone of HD SOUTH and Gilbert Museum; with volunteers we couldn’t open our doors or hold our community events, like our fabulous gala – A Night at the Museum! We have various volunteer opportunities and are always on the lookout for new members to join our team. 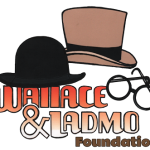 If you would like to donate some of your time to a very worthy local cause, we would love to hear from you. Just complete the form below and we will contact you to discuss any suitable volunteer opportunities here at HD SOUTH in Gilbert. Many thanks for your interest; your support is truly valued. 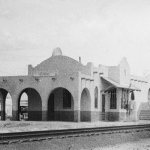 I give permission for my name, address and/or email to be put on a general mailing list to receive any mailings from the Gilbert Historical Society. Please select all that apply. If selecting more than one day, press down Ctrl key while selecting date. By submitting this online application form, I certify that all information is true to the best of my knowledge, and any omissions or misrepresentations will be cause for refusal of placement or immediate dismissal at any time during the period of my placement. I give the Gilbert Historical Society/Museum authorization to investigate all matters contained in this application. I understand that it is my responsibility to keep the Museum advised about any changes of address or phone number. I agree to obey all rules and procedures established by the Gilbert Historical Society/Museum, and understand that being a volunteer means I have made a commitment to the program. 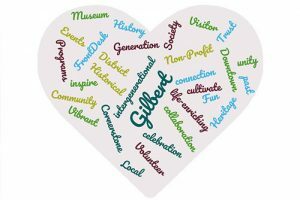 I further understand that I am a volunteer and therefore not entitled to any benefits which are provided to employees of the Gilbert Historical Museum, and that I will be fulfilling job responsibilities without receiving a salary or hourly wage. I will assume all risks and/or hazards associated with participation in this program and do hereby agree to hold the Gilbert Historical Society/Museum, its agents, officers, employees and volunteers harmless from any liability, loss, expense or claim for injury or damages arising from my participation in this program. If you have questions about the volunteer opportunities available at HD SOUTH, then please contact us.